Considered some of the most valuable household appliances, dishwashers serve you well when they themselves are serviced properly. For that, you need a trusted dishwasher technician in Panorama City, California, and we will be happy to provide you with an expert in such kitchen appliances. We quickly serve the needs of our local customers. When your dishwasher is not working in a proper way or not at all, the easy and trusted solution is to call our company. Metro Appliance Repair Panorama City will send you a dishwasher expert in next to no time. 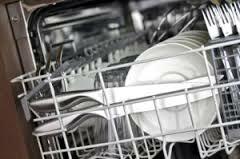 We help as fast as possible when customers are in need of dishwasher repair Panorama City service. You will surely survive without this kitchen appliance for one day but what if leaks! Isn’t it important to have it checked and fixed as soon as possible? Irrespective of the problem you are faced with, call us with the assurance that our company covers all same day appliance repair Panorama City needs. The appointed dishwasher technician will come out promptly to fix the broken appliance. Is the dishwasher not starting? Does it fail to drain? Is it not washing your dishes and glassware well? No matter what the trouble is, bring it to our attention. The pros have tackled all sorts of problems over the years, are trained to fix all dishwashing machines, and are certified to service any brand. To do their job correctly, they arrive to your house well-equipped and thus ready for dishwasher troubleshooting & repairs. Call our team if you’ve got problems. They will be resolved quickly and effectively. Let us take care of all your service needs. From dishwasher installation to routine services, we are here for you. It’s important to remember that well-installed and properly serviced dishwashers function correctly and last long. Why should you maintain this home appliance? Because it wears just like any appliance in the home. The parts might break or corrode causing troubles. Why should you deal with troubles when they can be prevented? Why should you struggle with the installation of the dishwasher when a pro can do it quickly and right with one single phone call? Leave any service to us and a Panorama City dishwasher technician will promptly come out to cover your needs. Call us today.